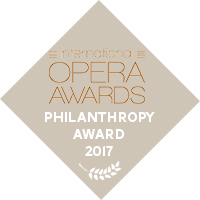 Join the opera world’s leading lights as they come together to celebrate the best and brightest at the 2017 International Opera Awards sponsored by Mazars. Opera’s answer to the Oscars, this annual red-carpet ceremony honours outstanding achievement, with awards including Singer of the Year, Opera Company of the Year and the annual Lifetime Achievement Award. Presented by BBC Radio 3’s Petroc Trelawny with celebrity guest presenters from the worlds of show business and opera, the evening will also feature live performances by some of opera’s greatest names. Artists already scheduled to perform include Stuart Skelton, Bryan Hymel, Lauren Fagan and Rhian Lois.